Each unit has their own personal ski locker. The keys will be hanging inside of your condo. - Access to a hot tub and pool in the Lone Eagle building. 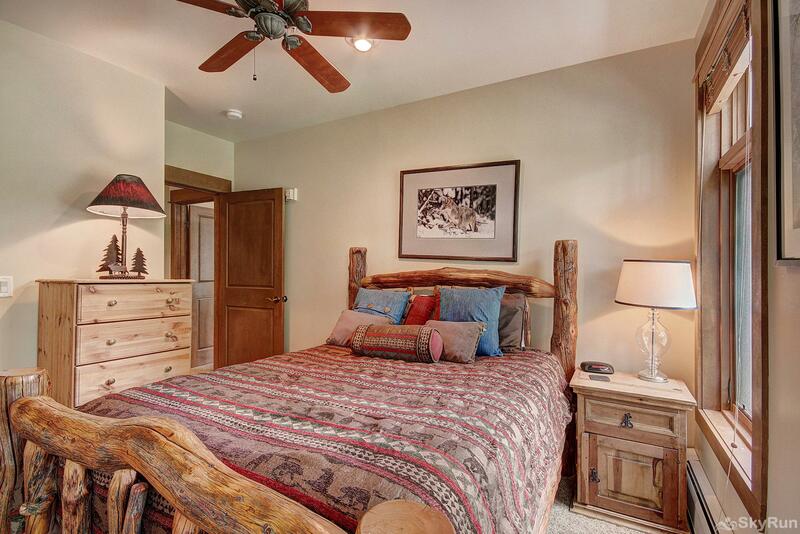 - Beautifully furnished, luxurious, ski in and ski out condo right in the heart of Keystone. - Lovely private deck backing up to the Snake River. - This unit is on the first floor. Walk down your hall through the lobby, past the ski lockers, pool and hot tub, click on your skis or board and glide down to the gondola. Avoid the wait at the notorious Lone Eagle elevator. Then after a few runs, ski right to the lobby, put skis into your private ski locker and hook your boots up to the in-locker boot-warmers and grab some lunch at the condo right on the same level or a hot tub. It simply doesn't get better that this. Enjoy the luxury in space that 1,190 square feet and 9' ceilings provide. Soak in the light that comes into this corner condo from two sides. Relax beside your private natural stone fireplace with a warm beverage, or join people from around the world in the lobby common area fireplace. In 3003 Lone Eagle, it's your choice. Lone Eagle 3003 is also beautifully decorated and is a corner unit with extra lighting on the quiet side of the building. The kitchen features beautiful stainless steel appliances and granite counter-tops. The dining table seats up to 6 people and there is a breakfast bar to make quick meals a breeze. Sit out on the porch in the summer and listen to the peaceful sounds of the Snake River or allow it to put you to sleep at night. The master bedroom features a king-sized bed and its own en-suite master bathroom with a spacious tub and walk-in shower. The second bedroom features a queen sized bed and its own private entrance out onto the patio. This unit is a must rental for ski season because it is on the same floor as the ski lockers, and one floor up from the heated parking so there is no need to wait for the elevator. You will enjoy luxury at it's finest. There is parking for one vehicle at this property.